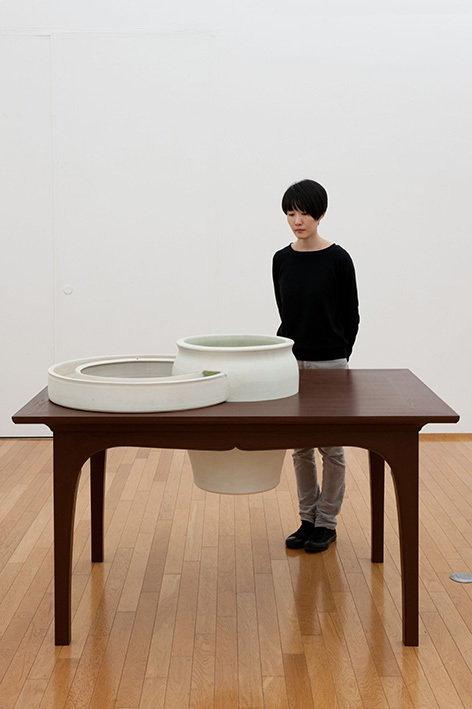 Shiro Matsui has always presented fresh and unexpected ideas of space. 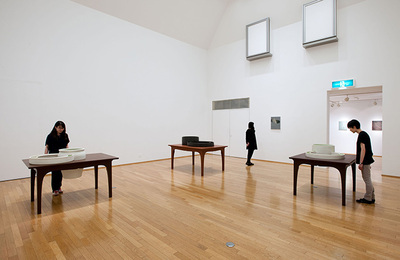 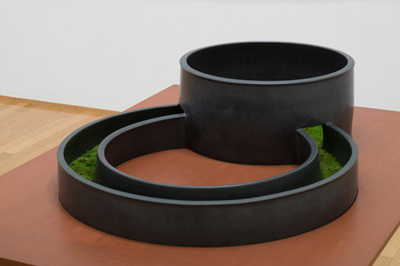 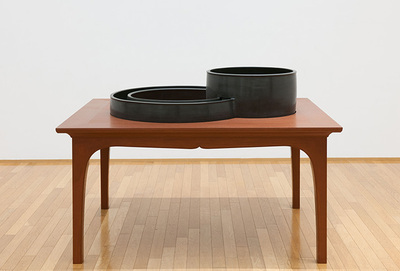 His works, that are produced with various materials and scales, reverse our polarized notions of "interior/exterior" and "here/there," or partially connect and extend these fields. 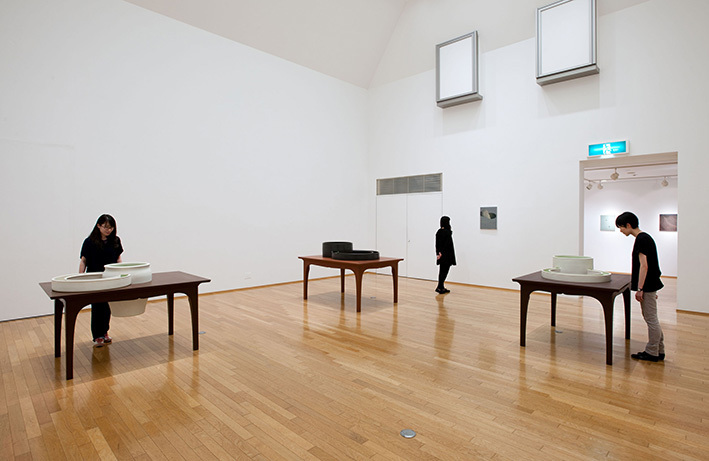 Experiencing these spatial inversions, connections and extensions through his/her own visual and physical senses, the viewers framework of recognition is swayed and expanded to a new plane. 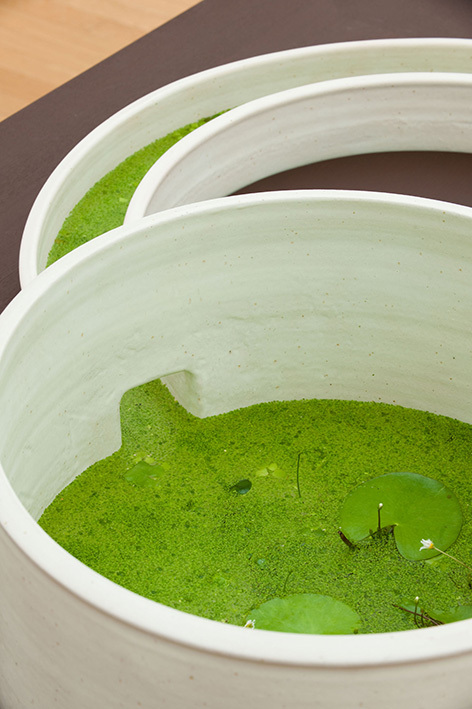 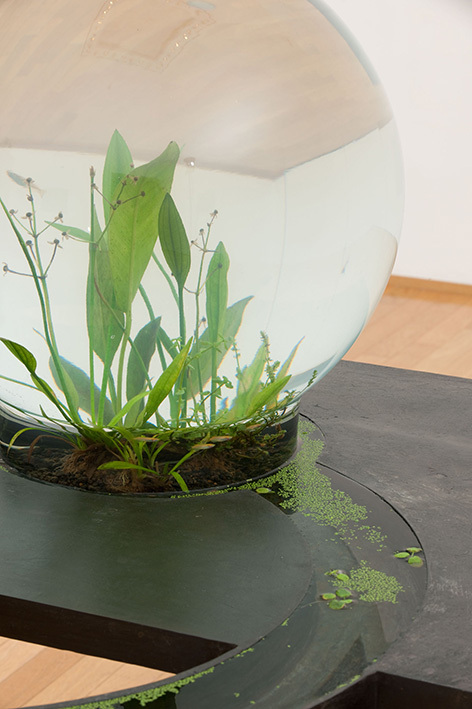 Forwards Backwards presents a series of new works in which fluid materials such as water, goldfish and aquatic plants are combined inside ceramic vessels with unique forms. 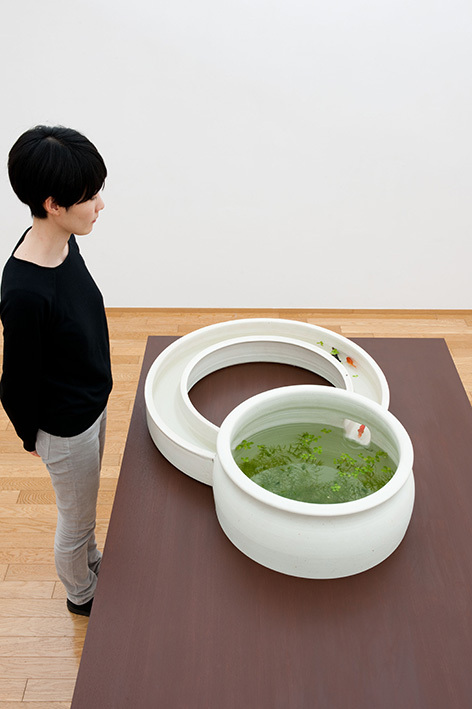 Each is arranging as a "garden," that is a kind of device that facilitates a diversity of spatial recognitions by viewers in the gallery. 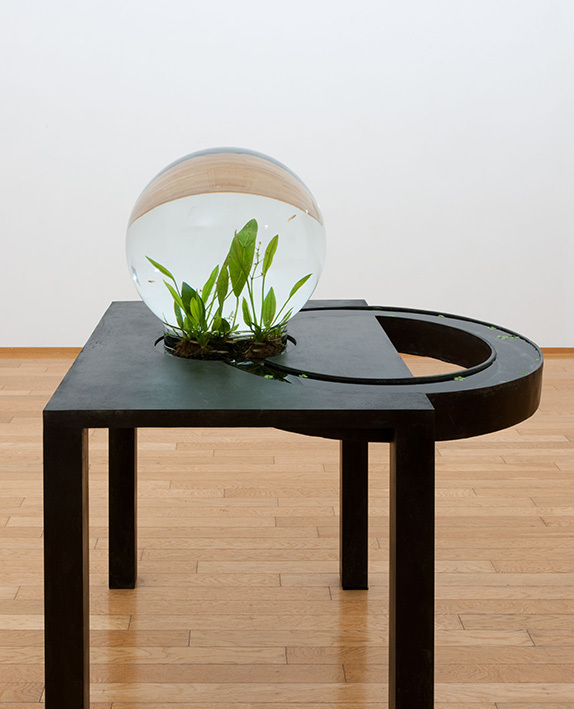 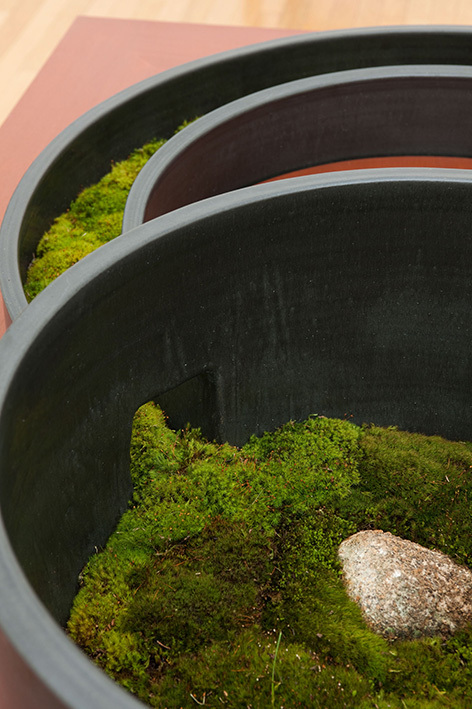 Wandering inside the space the works create, both mentally inside individual gardens and physically among a series of gardens, perception is opened toward intricate and fertile interrelations with the surrounding world.